Hipster alert: Ballantine is coming back! Pabst Brewing, known for reviving faded beer brands, is bringing back one of the most popular ales of the 20th century: Ballantine. Starting September, Pabst will start selling Ballantine India Pale Ale in six packs and larger bottles in the Northeast. Ballantine, a craft beer, was once one of the biggest selling brews in the U.S. and was a sponsor of the New York Yankees in the 1940's and 50's. But Ballantine went into decline after the 1960's and was bought by various investors who didn't quite understand the beer business. Related: Is craft beer really a good business bet? However, craft beer is hot again as is India Pale Ale. Overall beer sales have been down for four of the past five years, but craft beer sales grew 17% last year, and represents about 20% of the overall $100 billion dollar beer market, according to the Brewers Association. "Ballantine is an older brand that basically disappeared," said Eric Shepard of Beer Marketer's Insights. "But this makes sense because (India Pale Ales) are the hottest segment of the craft beer market right now." Pabst has owned the Ballantine brand for nearly 40 years, but it wasn't until two years ago that it started to think about reviving the brand and bringing it back in its original form. However, the original formula had disappeared because the brewery had undergone changes under different owners. "The greatest challenge was doing the historical research," said Gregory Deuhs, Pabst's Master Brewer. "We had to go back and read first-hand accounts of the ale's flavor." Craft beers are typically brewed in smaller batches compared to the commercial variety and also have more specialized flavors. India Pale Ale focuses on the hops component in the ale which accounts for the bitter flavor in the brew, something that is prized by beer aficionados. In bringing back Ballantine, Pabst is once again trying to bottle nostalgia. Its century-old Blue Ribbon beer suddenly became popular among young people about a decade ago when snow boarders took a shine to it and the beer was featured on TV shows such as South Park and Breaking Bad. 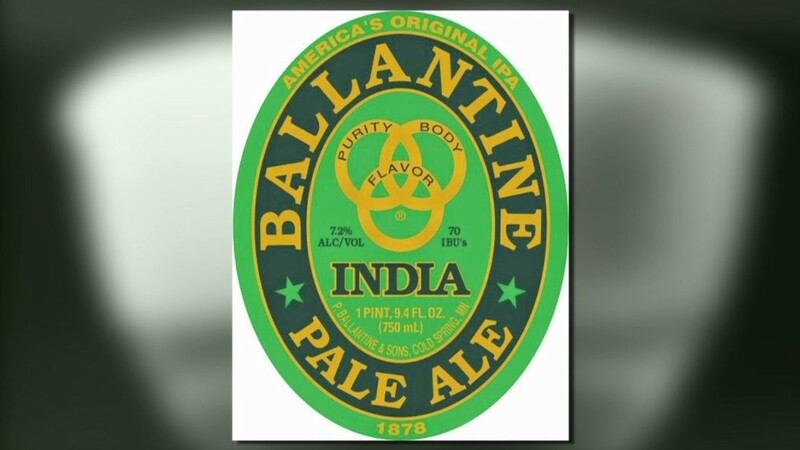 The Ballantine brand goes all the way back to the 1870's when Scottish immigrant Peter Ballantine built a brewery in Newark, N.J.